This challenge offers students the opportunity to further apply what they have learned during our programmes as well as polish the skills they have practised. The Student Enterprise Challenge will give students complete autonomy on how they approach the task; planning their strategy, managing their time and creating a winning solution to an exciting brief! 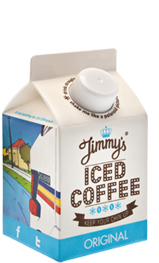 The briefs have been set by our business partners: Jimmy’s Iced Coffee, Powertraveller and Global Cycle Solutions. All three partners are creative businesses who operate with strong ethos and values in their chosen sectors: the soft drink market, portable technology and product design. Your students will be presented with the option of joining this nationwide school challenge at the end of our programme, and if they choose to do so, will be given instructions on how to access the brief and begin the challenge! The entries will be collated by Bright Green Enterprise and the Student Enterprise Challenge business partner. All entries will be awarded a certificate suitable for a work portfolio and winning entries, one from each category of the brief, will win a cash award for their school as well as a Powertraveller solar charger. This award runs across the school academic year, with award winners announced in the summer term. If you would like more information on this challenge or how we may introduce this into your school, please contact us.